As a Java developer at IDR Solutions, attending JavaOne for the first time this is definitely one of the highlights of my year. I get to learn about the latest developments in Java from the very people who are working on them and meet like-minded people in the industry. Not only that but I also get to speak at the conference alongside my colleague Zain. I am also looking forward to exploring the Java Hub, where you can try out 3D printing and have a barista serve you coffee using a Raspberry Pi and Java. In preparation for the event, I have been looking through the sessions catalogue and have picked out the five talks which I am looking forward to the most. 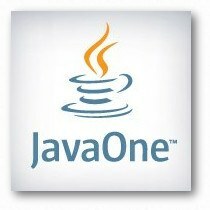 One of the best things about attending JavaOne is that you get to hear about the latest developments in Java from the very people who are working on them. This talk will feature the latest news on JavaFX 9. Java 9 is getting close now with the official release date for JDK 9 still on 23rd March 2017. In preparation for this it will be interesting to hear what the effects of using Java 9 will be on existing code. The conference also includes Hands-on-Lab sessions, which means you get learn by doing some actual coding and be taught by the experts. We use NetBeans day to day at work so we have a good grasp of many of its features, but there is always more you can learn and there will certainly be new things we haven’t come across before. NetBeans has a wealth of technologies which are worth knowing about. This talk is interactive and shows how creative you can be with Java. It will be great to see how the language is being used to develop Internet of Things applications. All of these talks, among many others, look of particular interest to me. Also please do come along to our own talk, Write Better Code: Become a More Productive Java Developer with the NetBeans IDE. This will be on Tuesday 20th September at 7:00 p.m. in Continental Ballroom 6 at the Hilton. We will also be at the IDRSolutions stand 5710, so come and say hello to us there.